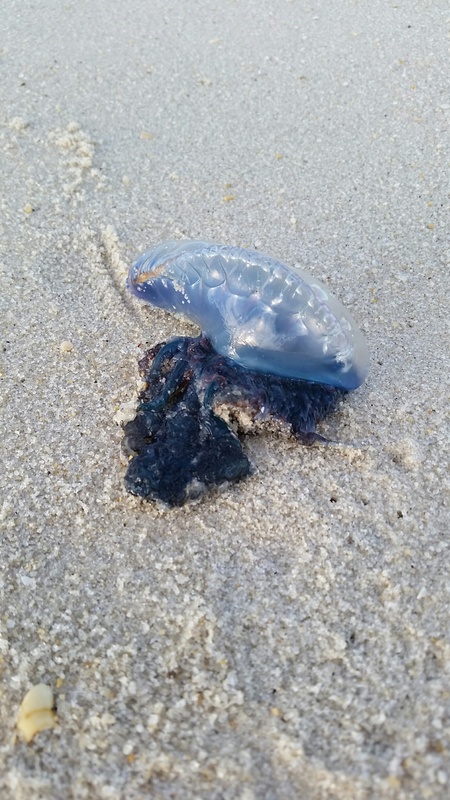 A Portuguese man o’ war washed up on the beach in Lavallette Saturday morning, the latest of several found on local beaches in recent days. Amy Costello found the creature on the sand and sent a photo of it to Shorebeat. Earlier this week, officials in Beach Haven, on Long Beach Island, warned beachgoers that the same species had been found washed up on their beaches and were likely in the water there. Another was found in Island Beach State Park recently. A few weeks ago, there were numerous reports of the venomous species washing up on beaches in the United Kingdom. Dr. Paul Bologna, a marine biology professor at Montclair State University, said that if there is one found in a certain area, there are probably going to be more. They can be carried into an area by currents driven by weather systems, the Gulf Stream and wind patterns. Man o’ wars pack an agonizing sting that can last for about an hour after a human comes into contact with the marine cnidarian – which is actually a group of organisms fused together that appears as one gelatinous creature. People who are allergic to the species’ venom often need to be hospitalized. 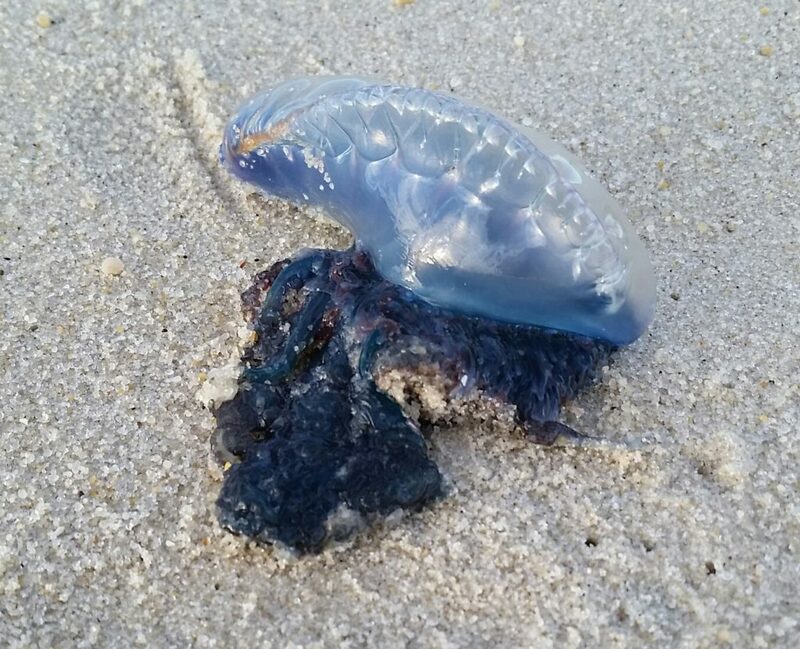 There were a rash of Portuguese man o’ wars washing up on New Jersey beaches in the early weeks of summer in 2015, but they eventually were carried away from the Shore area. Though often referred to as a jellyfish, the man o’ war is actually what is known as a colonial organism, made up of separate, smaller organisms that form a unit.